Our practice is one of the most trusted eye care facilities serving the Kansas City area. For over thirty years, we have provided routine and specialized services to thousands of individuals young and old alike. Our practice is a total eye care practice, with an experienced personal staff two optometrists, and a full-service eye wear facility. 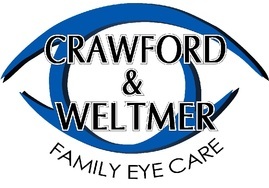 ​Stop by, call or email us at weltmercrawford@yahoo.com. We invite you to browse our web site to see how we can help you. ​You can make an appointment by calling 913 782-4983.